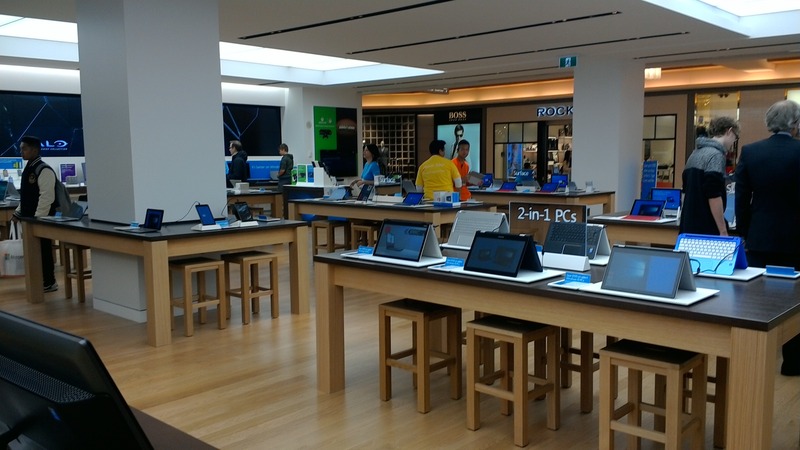 This week I have visited the Microsoft Store in Pacific Center, Vancouver. For me it was the first time of visiting a Microsoft Store and I have to say it was an amazing experience! 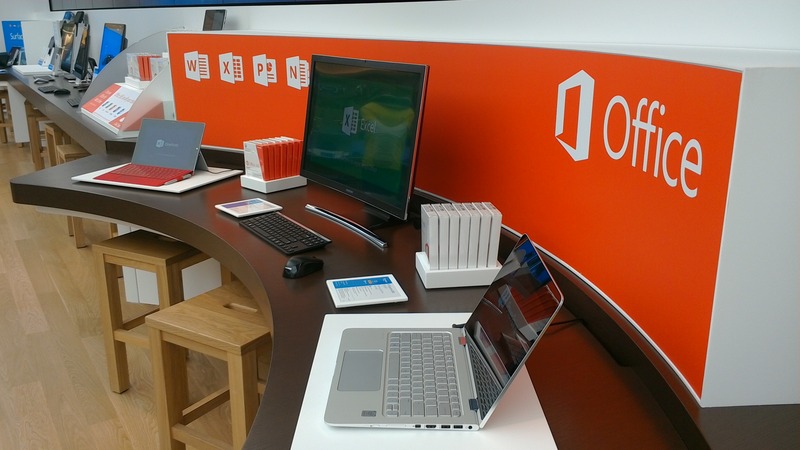 In the store you can get many Microsoft products like Office, Windows, Surface, Xbox and many more. All devices are presented in a nice way and with many accessories. The visitors get an amazing impression of the features of each device. People can test the devices and see if they like them. Even on expensive devices like the Surface Pro 3 people can get their hands on. It is not like in an Apple Store where some devices are only presented under glass or protected by many visible safety mechanism. Therefore, as a visitor you feel more welcome and the whole atmosphere is more relaxed. The staff behaves very nicely as well. They helped all visitors and gave them many information about the devices. But they were not only presenting the devices, they were also helping people when they had problems or needed support for one device they have at home. When I was there someone needed help with the Windows 10 Upgrade and the staff showed him how to do it. They have been very friendly and talked to me. They have asked me some questions and started conversations with me so I felt like I am talking to friend and not to a member of staff in a store. You can not only buy products from Microsoft but also devices from OEMs, like Windows Phones from Blu, laptops from Lenovo and much more. I think it is nice to have so many different devices there so the visitor gets to know which devices are available on the market and in the end can choose the one which fits the most to him. I hope that Microsoft is going to open Microsoft Store in more countries in the future – also in Europe. 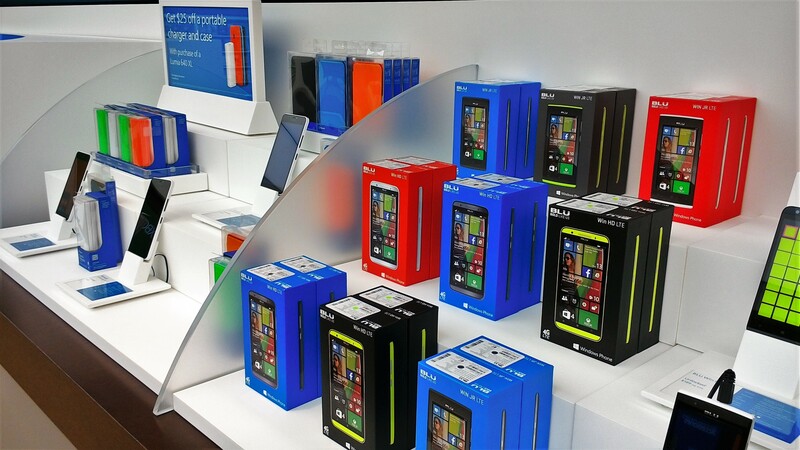 I think it will help people to see the wide range of devices running Windows and maybe then make them to buy one. Also it is a good place for getting support and help if there are any questions concerning a Microsoft service or device. I really enjoyed my visit and I am looking forward to go there again and buy something there in the near future. Have you ever been in a Microsoft Store? What were your experiences? Write them into the comments! IFA 2015: Those Windows devices caught my interest!